Scholarship applications are due by Friday, August 9th, 2019. Applicants will be notified on or before Friday, August 30th, 2019 of scholarship application status. In service to the field, NaBITA welcomes the submission of scholarship applications for its upcoming Training & Certification courses. These scholarships aim to assist our colleagues in their professional development and commitment to their chosen profession. Scholarships will be awarded to applicants based upon written responses to the questions below. A limited amount of scholarships will be awarded, and submission of this application does not mean a scholarship will be awarded. Please complete the application below in full, providing detailed and complete answers for each question. Only full, complete applications will be considered. For questions regarding the scholarship application, please email conference@nabita.org. * 7. 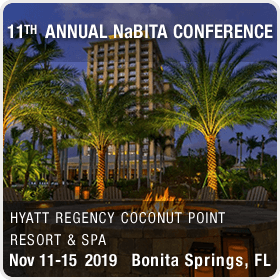 For which NaBITA Training & Certification Course do you plan to attend and wish to submit your scholarship application? * 8. Which term best describes your organization? * 9. Why would you like to attend this specific training course? * 10. What do you hope to gain from attending and how might this course contribute to your greater career goals and professional development? * 11. Please indicate how the scholarship will enable you to attend the training and lessen the financial hardship of your attendance. * 12. What do you see as the role of secondary and post-secondary education professionals in continuing the dialogue on collaboration between Behavioral Intervention best practices? * 13. Please provide the review committee with an example of how you may have created change, fostered dialogue, and/or developed new institutional/school/organizational measures that were impactful on your community. * 14. What ideas do you have that have been/may be implemented to better educate those on college campuses, in schools and in our communities about issues or concerns in regard to behavioral intervention?